You CAN Be Organic Chic! Want A Piece Of The Action? Organic clothing offers a new dimension in healthy living. People worldwide are taking charge of their health together with their deep concern for environmental issues. Are you concerned with your family’s health? Do you or your loved ones have chemical sensitivities or suffer from allergies? Is the use of carcinogens in so many of our daily living products of great concern to you? Are you pursuing greener lifestyle choices for improved health and well-being? Do you care about the fragile state of our world environment and the effect on your children's future? Trying to be environmentally friendly but you have a passion for fashion? Wonder how to combine the two? Looking for the coolest, trendiest and most affordable organic and natural styles? These are all huge questions. The world’s ecosystems have been stressed and damaged due to overuse of chemicals and pollutants. Human health has suffered. Toxins have profoundly affected all living things. The good news is that the world is changing for the better. Organic food and alternative healing have become popular and respected. Now the curtain is being raised on organic and natural clothing choices. 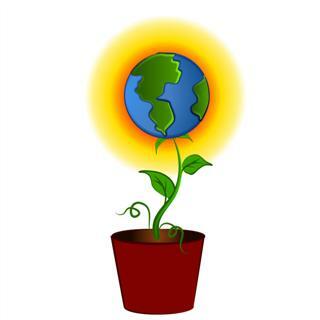 Our goal is to provide information for organic clothing sources and eco clothing choices. We have researched and gathered information to help you make informed decisions and support your earth friendly values by taking your healthy living choices one step further. By reducing or eliminating toxic chemicals in your clothing, you nurture your health - and enrich the beauty, wonder, and balance of Mother Nature. ...And... you can express your individual style with modern, trendy fashions in the process! For an unforgettable mix of healthy and cool, check out organic clothes. Make a personal style statement with eco-chic green clothing fashion trends. Chemical free organic cotton promotes nurture and replenishes nature. It is the most popular of all the natural fibers. Organic hemp clothing reinvents itself as modern, trendy and stylish with improved comfort. Perfect for the eco-conscious and vegan. As the queen of fiber, organic silk takes eco fashion to new heights. The rich luxury of silk feels like a caress against your skin. Nature's masterpiece has to be organic wool. Purity, warmth and coziness are it's claim to fame. In the consumer quest for organic fibers, the demand for organic linen clothing is on the rise. This lightweight, refreshing fabric is used to create classy clothes. Bamboo Clothing Gets 5 Stars! Once you've worn bamboo clothing, you may never want to go back to cotton. It's true, they're that soft and comfy. Natural clothing equals natural lifestyles. Your guide to plant fiber clothing makes your eco fashion choices easy and stress free. Responsible animal fiber clothing can promote organic farming and tread lightly on the earth. Now you can wear vegan clothing and be eco-chic at the same time. Animal-free and earth friendly styles go hand in had to support vegan values. Your baby is your most precious gift. Organic cotton baby clothing is top notch for your baby's best health and protection. Hemp clothing is reintroduced as soft, cozy, versatile and eco-chic. Environmental issues regarding sheep wool production are inspiring a more holistic and natural approach to produce organic wool. Talented designers of eco fabric raise the bar and set new standards with modern, innovative designs. Eco chic is not an oxymoron. You can dress fashionably and nurture the environment. Ethics and values of fair trade clothing are redefining international trade equity, global poverty, human rights and sustainability. Sweatshop free clothing is the ethical choice of fashion. By choosing sweatshop free clothing, we hold brand name corporations, manufacturers and retailers accountable. Thanks to the ingenious people behind the products, consumers can get really cool stuff that's environmentally friendly. Don't just dress yourself. 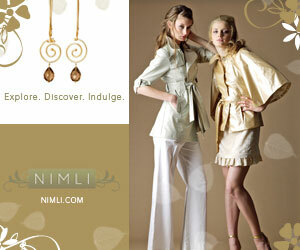 Go green in style with organic and natural clothes for your health. The Organic Clothing Blog keeps you up-to-date with all the additions and changes to the organic-clothing.com website. Subscribe here. The world's re-introduction of pina fiber breathes new life into the fashion industry, and gives pina weavers new hope and vision. Relaxing in bamboo sheets after a long day is like a little piece of heaven. Caress your family's skin with bamboo shirts, socks, and towels too. Bamboo baby clothes and bedding gives the best of both worlds. Proactively support your little tykes health today and their world tomorrow. Bamboo apparel is a must for every wardrobe, young or old. It's versatility can take you anywhere from the playground to the office to the gym. Because your baby deserves a fresh and healthy environment free of chemical toxins. Organic baby bedding is the right choice for a natural sweet dreams sleep. Say no to toxic chemicals with luxurious organic merino wool. For unbeatable softness, warmth and comfort for even the most sensitive skin. Do you avoid wearing wool because it feels itchy and scratchy? Enjoy the cushiony soft comfort of pure wool clothing. An old fabric with a modern twist. Free of contaminants, organic wool bedding enhances your sleep, your health, your life. Meanwhile, you enhance the environment. Your child is your future. Organic baby wool offers the purity, comfort and protection that every loving parent wants to provide. Knowledge is power. Discover why you should consider an organic cotton diaper instead of a disposable. Your baby's health just might depend on it. Favored for the softness and durability, hemp diapers keep baby healthy, happy and comfortable. Who would have thought hemp would be the perfect solution. Ecospun fabric gives a whole new meaning to getting fleeced. Are you intrigued by plastic bottles being transformed into sweatshirts and other clothing? Non-toxic, natural polish is right at your fingertips. Combine nature and nurture with soy baby clothes. Spoil your child in the soft comfort of vegetable cashmere. Would you like to share your knowledge about organic clothing? Great, find out how you can submit your story or tip here.